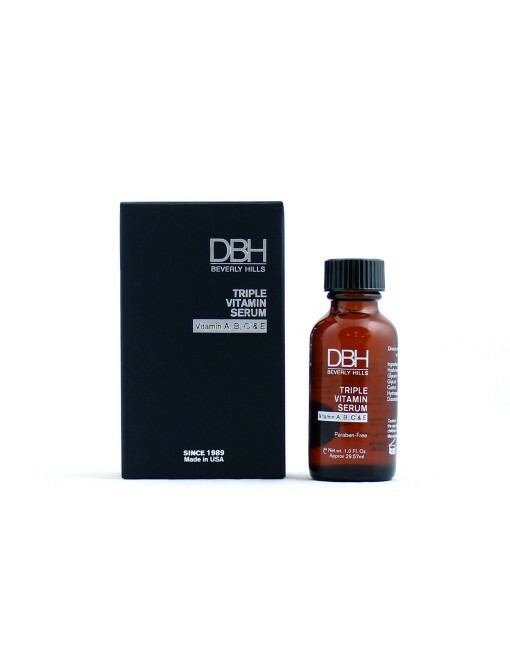 An exclusive Dermaesthetics PowerBlend serum that targets dull, life less skin regardless of skin type by delivering Vitamin A to promote cellular turnover, Vitamin B for its moisturizing benefits, and Vitamin C for its brightening and collagen producing ability. The Triple Vitamin Serum is the perfect solution for all skin types and maintains healthy, moisturized, and brighter skin. Vitamin A promotes cellular turnover. Vitamin B for itspromotes moisturizing benefits. Vitamin C brightens and produces collagen.